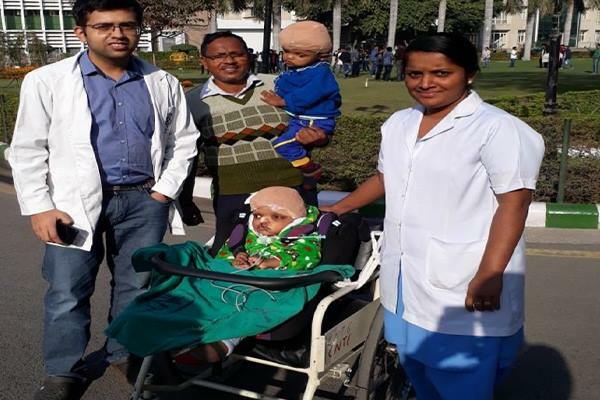 Bhubaneswar: The separated conjoined Kandhamal tribal twins, Jaga and Kalia, would soon be discharged from the AIIMS, New Delhi. This was informed by their father Bhuyan Kanhara on Monday. “The process has already begun. They will be shifted to he Odisha Bhawan in Delhi first. The kids will be discharged within four days from the AIIMS,” said Kanhar to media. While there has been a considerable improvement in Jaga’s health condition, Kalia has shown a slower recovery. As per doctors, Kalia would take six more months for full recovery. It should be noted that the twins were admitted to the AIIMS on July 14, 2017. The brothers underwent a separation surgery on October 25 and 26 and later went through a reconstructive and plastic surgery of the skull in a phased manner. Previous articleJacqueline Fernandez unveils Just F, an active wear brand Exclusively on Amazon Fashion for Prime Day!